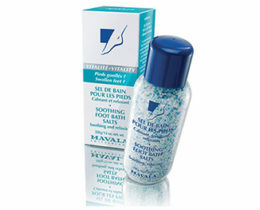 Natural Beauty Brands offers a range of natural foot care products for relaxed feet. 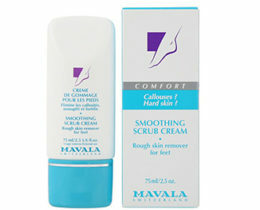 Shop for best foot care products online. If you are looking to buy a foot care kit online with natural foot care products there is no better place to go than Natural Beauty Brands. 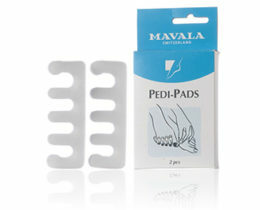 Their selection of foot care products online is second to none and you have plenty of options to choose from including the pedi pads that separate your toes and allow you to apply nail polish evenly and cleanly. Another popular option is the soothing foot bath salts that come directly from the Dead Sea and will help to relax and soothe your feet. 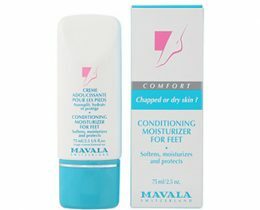 NBB carries a great selection of natural foot care products online from Mavala Switzerland and the quality cannot be matched. If you are looking for a smoothing scrub cream for your feet, revitalizing emulsion for tired legs, refreshing foot gel, deodorizing foot gel, a hydro-repairing foot care kit or something else you will find more than you expected at low prices.